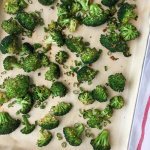 Featuring a deliciously smoky flavor, this oven Roasted broccoli makes a quick and easy side dish! Finding ways to add tasty flavor to veggies is something I love to do. I mean, plain steamed broccoli with a little bit of butter and sea salt is fine, but it can get old sometimes. That’s where spices can really save the day. 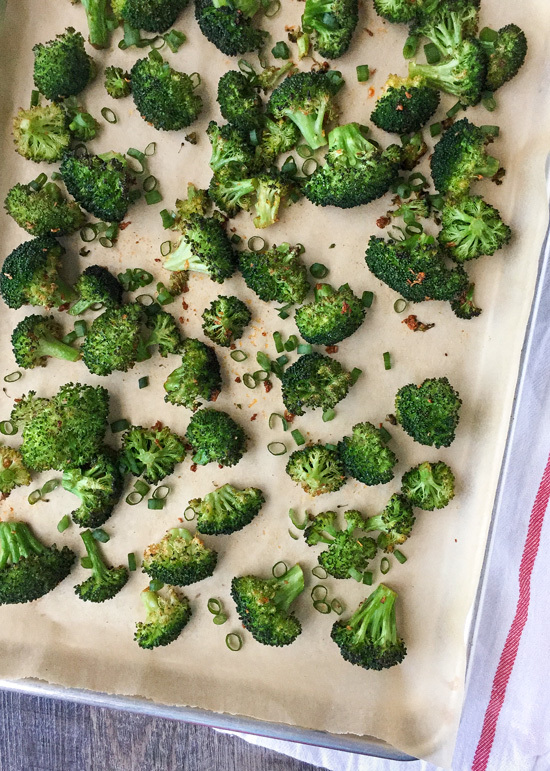 A little seasoning can take boring old broccoli and turn it into something super delicious! Roasting broccoli makes it so much tastier than just plain steamed. One of my favorite all-time spices is smoked paprika. I use it in all kinds of recipes. It adds such a unique smoky flavor to all kinds of dishes. My Smoky Sautéed Green Beans recipe is a favorite of mine. If you love green beans, you should try that recipe out, too! There are several brands of smoked paprika on the market. Some that I like, and some that just aren’t quite as good in my opinion. The one I’m currently using and really like is from Chiquilin. For convenience, I like to buy bags of fresh organic broccoli florets at Trader Joe’s. Yes, I know I could cut my own, but they are just so handy to use in recipes like this! I decided to go with melted ghee instead of olive oil for this recipe. The ghee adds just a hint of buttery flavor. We’re cooking this at a higher temperature, so you wouldn’t want to just use regular butter here. Clarified butter or ghee is what you want to use. Or you could just use olive oil, if you prefer. This Smoky Roasted Broccoli with Scallions recipe is a flavorful, easy and healthy side dish that is sure to please at the dinner table! Pre-heat oven to 425° F. In a large bowl, pour the melted ghee, add the smoked paprika and garlic. Add the broccoli and toss to coat. Spread out onto a large baking sheet, sprinkle with sea salt and pepper to taste and place into pre-heated oven. Bake for 10-12 minutes, or until tender. Toss with the scallions and serve. Post contains an affiliate link. If you purchase a product through an affiliate link, your costs will remain the same, but I earn a small commission. This helps to cover the costs of this site. Thanks for your support!